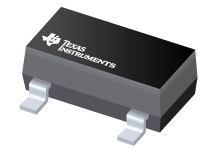 precision voltage reference is available in the subminiature SC70 and SOT-23 surface-mount package. This application report develops the positive-only bias voltages needed to successfully operate theADC0800 and the DAC0802 with a single supply voltage. The principles here also apply to the DAC0808,which is a two quadrant multiplying DAC with a single output.